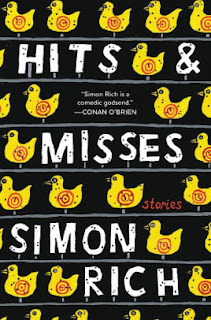 Hits and Misses: Stories by Simon Rich is a very highly recommended humorous collection of eighteen short stories. The various stories in this collection run the gamete from hilarious to satirical, from absurd to insightful, from audacious to circumspect. In the final analysis, however, they are all entertaining, while simultaneously pointing out some absurdities or proclivities of the human condition (especially related to writers, media, film work and even when the main protagonist isn't human) in a humorous manner. 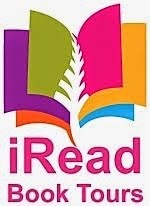 I thoroughly enjoyed every story in this collection. They were all hits for me. The Baby - A novelist begins competing with his unborn child for literary recognition. Riding Solo: The Oatsy Story - Paul Revere's horse reveals the true story. The Foosball Championship of the Whole Entire Universe - Two brothers are in an uneven competition where only one can be named the ultimate winner. Birthday Party - A man who takes a corporate job is confronted by his former selves over his choices. The Book of Simon - Simon's life as compared to the Book of Job. Relapse - An intervention is needed for an artist who thinks she wants to get back into the music business. Hands - A Christian monk is tested by his ethical deficits. 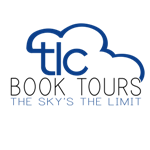 New Client - An old-time talent agent signs up his last client. The Great Jester: Havershire, a medieval court jester, tells his life's story. Physician’s Lounge, April 1st: Dr. Metzger is no longer allowed to make April Fool's jokes. Menlo Park, 1891 - Thomas Edison makes a film, Newark athlete. Tom Hanks Stories - Tom Hanks is a nice guy. Adolf Hitler: The GQ Profile - A gushing magazine profile of the dictator. Any Person, Living or Dead - Frequently asked questions about the new technology allows you to have dinner with anyone, living or dead. Upward Mobility - A powerful studio boss and his able assistant are before Saint Peter. Dinosaur - A dinosaur writer is unable to keep up with the new writers. Artist’s Revenge - A successful director forces his harshest critic to make a movie. Stage 13 - A young, unaccomplished director is offered the opportunity to make a movie with a unique star.